Blouberg fitness | change your lifestyle today! 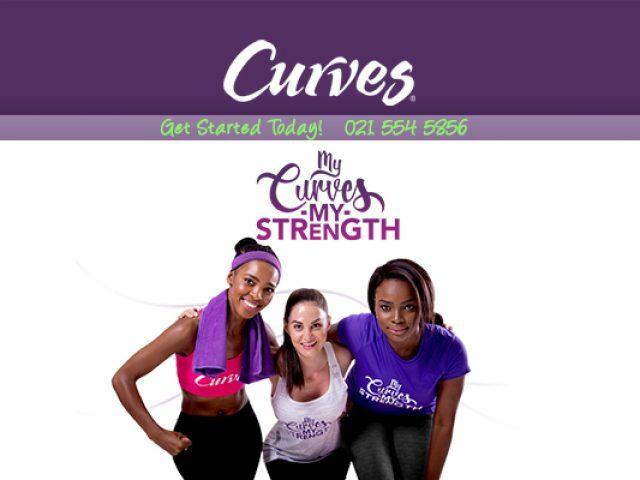 At Curves Blaauwberg, we offer our clients a complete and effective weight loss solution that is both healthy and balanced, for lasting results. As we all know, keeping in shape is a vital part of living a healthy lifestyle. Most people, however, do not own the specialised exercise equipment that they need to exercise efficiently, simply because exercise equipment is often extremely expensive. That is why most health conscious individuals nowadays prefer going to a gym that has all of the specialised equipment that they require. Gyms (or health clubs) are commonly comprised of a main workout area, a cardio area and a group class area. The main workout area mainly consists of free weights (such as dumbbells, barbells and other weight exercise machines), while the cardio area consists of a variety of cardiovascular training equipment (such as exercise bikes, rowing machines and treadmills). Most gyms also offer group exercise class areas that are used by fitness instructors to give classes such as aerobics, spinning, yoga and Pilates to groups of people. It is also common for gyms to offer personal training sessions to its members. These sessions typically consist of training, health, nutrition and fitness advice given to members by qualified fitness professionals. Although these services are offered to gym members, an additional fee is often required for such services. As one of Cape Town’s most established suburbs, Blouberg fitness facilities/gyms offer a wide variety of options for residents to choose from. The fitness facilities are not limited to gyms, however. There are also numerous nutrition specialists that offer products and services that aid in physical fitness, as well as other fun fitness activities such as boot camp that residents can partake in. Specialised fitness classes that exist separately from gyms, such as Zumba, Pilates and yoga classes are also available. Feel free to browse our through our fitness category below to find out more about your fitness service options in the Blouberg area. Own a business in Blouberg? List your business to get noticed.